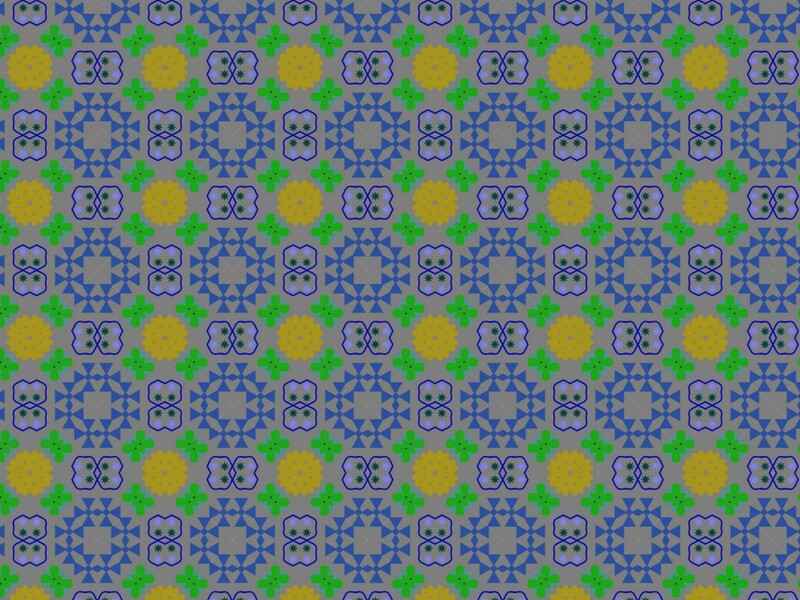 We have the wallpaper, now this is the design for the curtains for the 1989 living room. There has always been, at least in mid-century times, a possibility of using the same fabric for various soft furnishings about the house so this curtain material could appear as cushions, or even as loose covers for a sofa or easy chair. I have not yet completed the design for the furniture although it may well be that I will use this pattern as the fabric for a cushion. The design is a simple one and uses a motif that is a stylised version of a motif that goes back beyond Victorian times to the 17th century in the United Kingdom. If you look at designs that are used for fabric patterns, you will find that there are many motifs that owe their existence to the patterns created many, many centuries ago. The colours are simple colours, the type of hues that would have been available to a designer at that time. The 1980s and 90s was on the cusp of the transition between ‘decorated’ interiors and the type of interior that we see today, which show much less decoration and more solid colours. For that reason the pattern, as with the wallcovering, is created simply and easily without too much contrast in the colours or in the pattern. I have to admit to a liking for simple and easy design as much as I do the riotous and devil-may-care designs of the 1960s. You, in fact, don’t see that much of the curtains in the room and so, to show the design better, I have used the curtains in this rather old set which was designed to resemble a large hotel or function room. Another a nice pattern created in a slightly different way and this time using more traditional colouring but with a modern look. 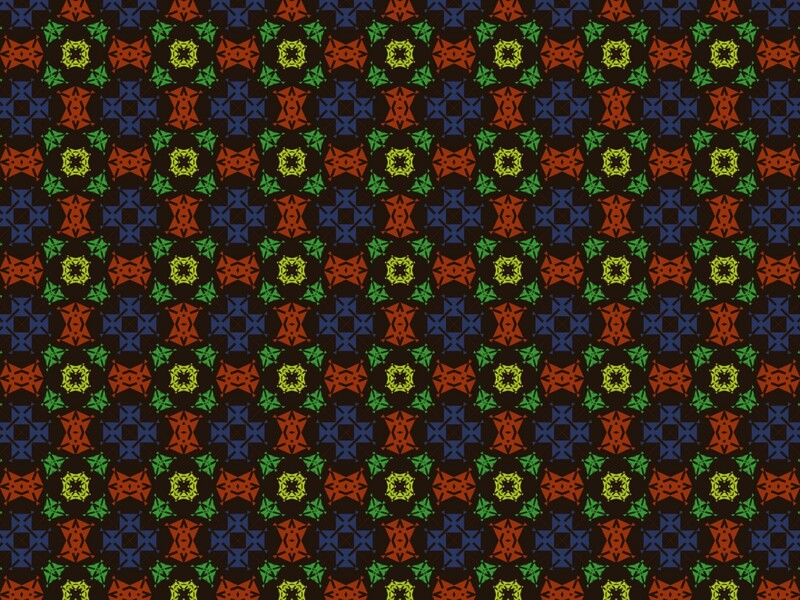 This is a nice pattern created in a slightly different way to the way I usually make designs. It was intended as a wallpaper design but the colouring is way too bright so I am now going to use it as a wrapping paper material instead. It’s often the way that even if you change the colour scheme the result never looks right, maybe this is more because of the fixed idea in my head than the result of the colouring! However, this is a fun pattern and I shall certainly do more of them.